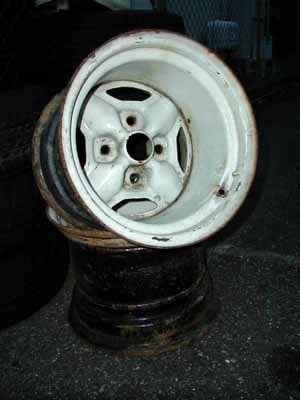 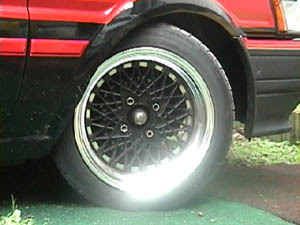 Here I have listed, thanks to AE86 Life Page (Japan) of Taka8, an extensive list of wheels that were available to the Japanese market AE86. 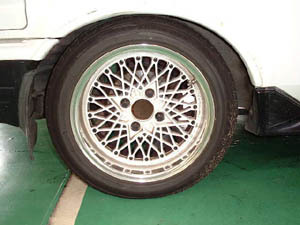 Some of them are still very much available today but most of them are out of production. 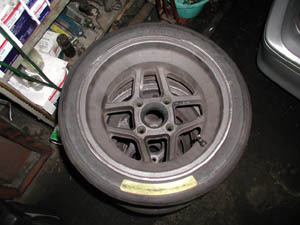 Listed here are some photos and what you might expect to pay for them. 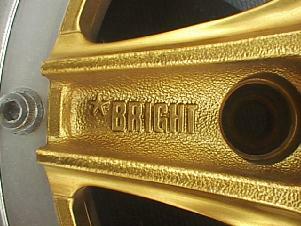 Also indicated here are grades for rarity, popularity, price and availability of new. 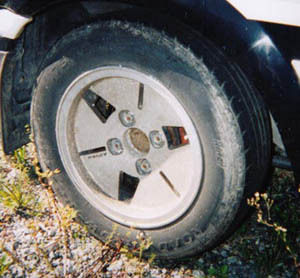 The grading is strictly in my opinion so it may differ by locality and timeframe. 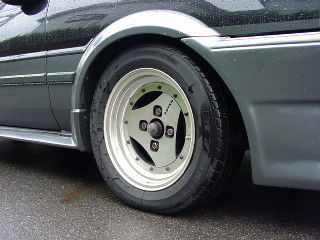 The AE86's wheel choices are greatly affected by suspension and body setup, as well as from late and early models. 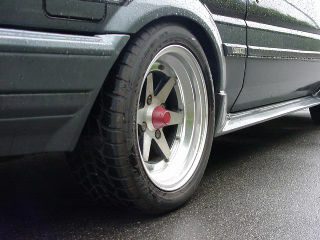 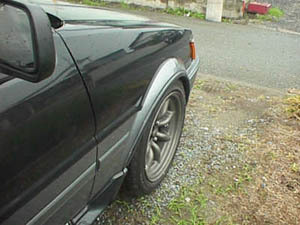 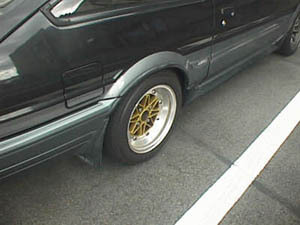 The late model AE86 with fender moldings reduce clearance by about 10mm. 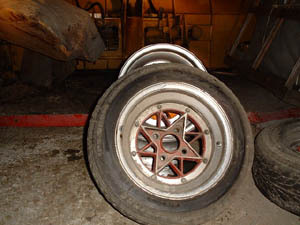 In the same sense, camber adapters at the top and or bottom of front suspension also contribute to wheel clearance issues. 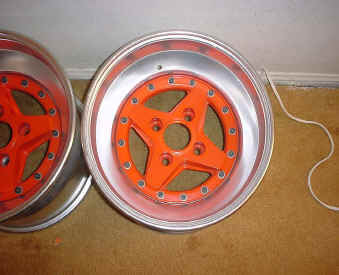 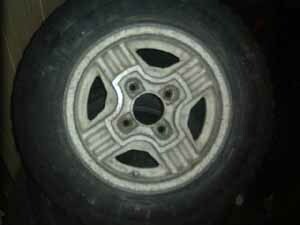 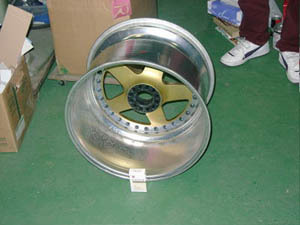 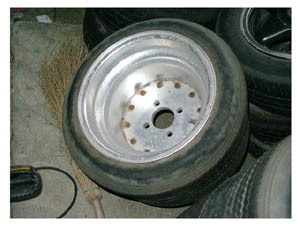 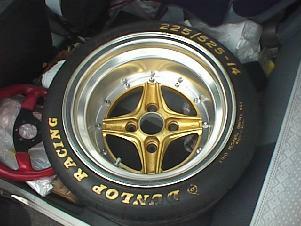 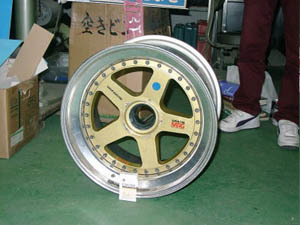 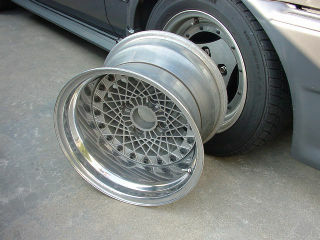 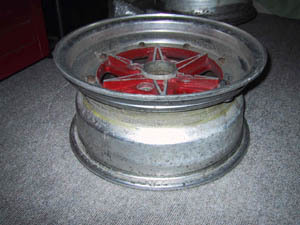 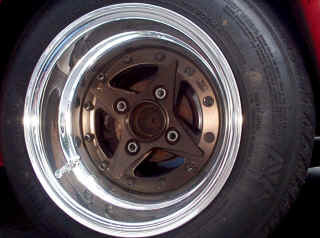 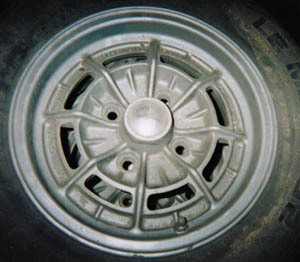 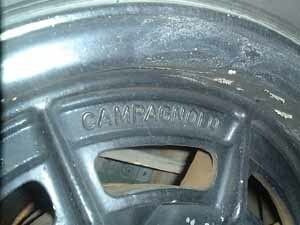 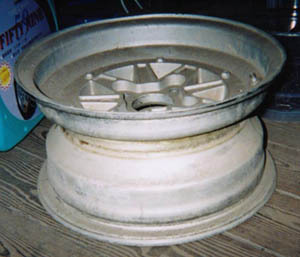 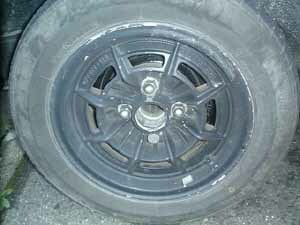 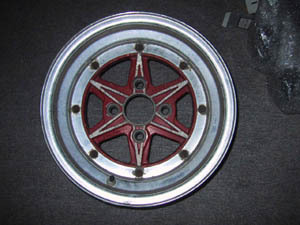 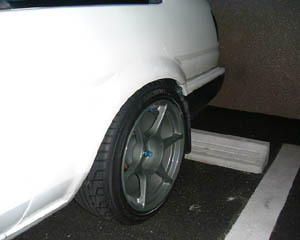 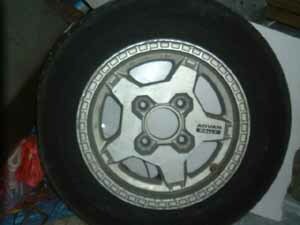 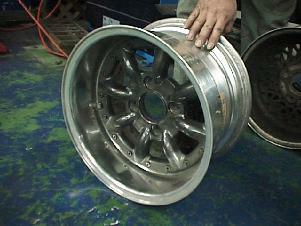 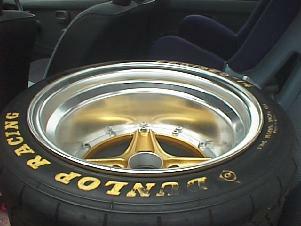 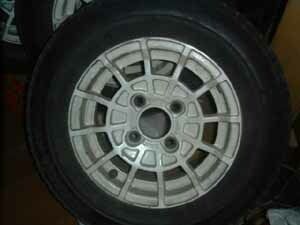 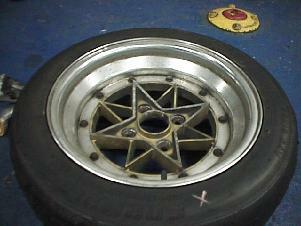 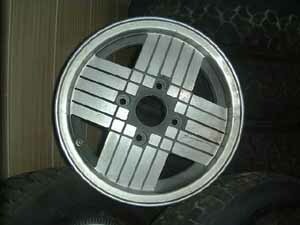 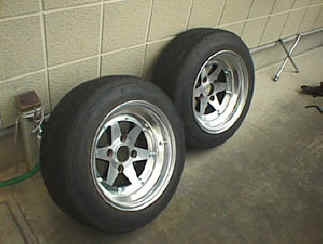 The OEM wheel was available in 14x5.5 or 13x5 in alloy, had offset of +18mm. 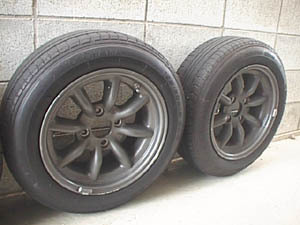 Tire size were 185/60-14, 185/60-14, and 175/70-13 depending on the region of purchase, model year, and grade. 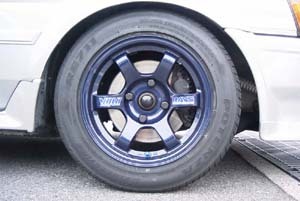 Since many of us do not intend to run on OEM size or width these days, I will concentrate more on aftermarket wheel choices. 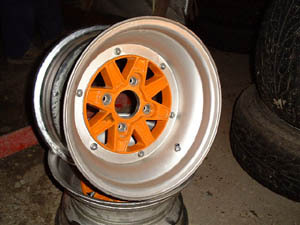 Without modification, the furthest the wheel can extend outward is provided by using 185/60-14 tires on 14Jx6 with +/-0 offset. 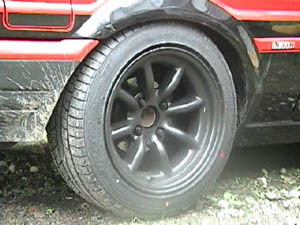 This is the general rule of thumb as different tires have non-standard width which may allow a more aggressive offset. 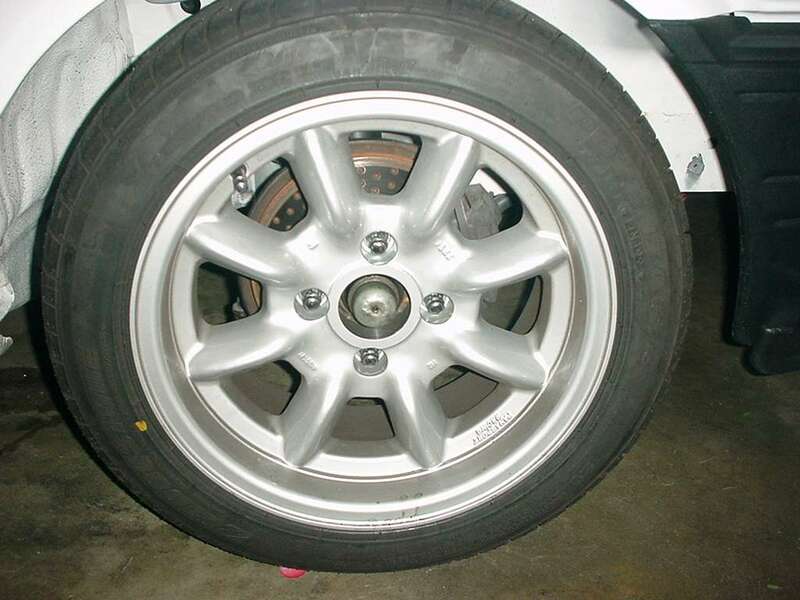 Commonly, we can use up to a 7 inch width wheel on 195/50-15 or 195/60-14 sizes on slightly lowered cars at offset of +10 or less. 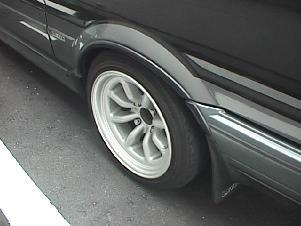 If inner fenders are trimmed, 0 offset can be used to get a flush effect at body line. 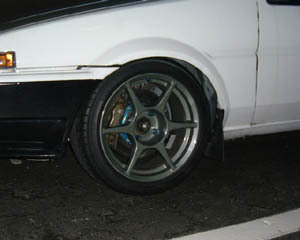 Going to wider width or more negative offset will require modifications to the suspension. 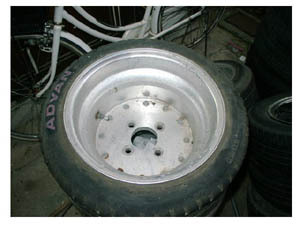 Camber upper plates at the top can tilt the wheels inward helping the tire clear (though that's not the purpose of the plates...). 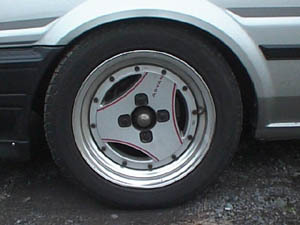 In the rear, the lowering of the body will create a rightward movement of the differential housing pushing the wheel to the right fender quarter panel. 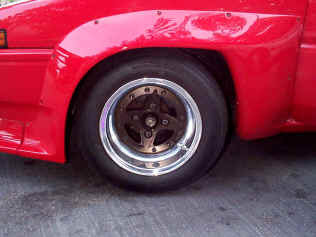 Adjustable lateral link (panhard rod) is usually used to correct this for each ride height. 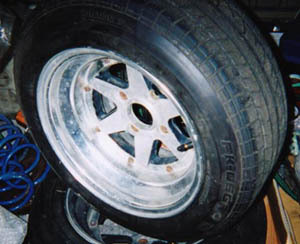 With N2 TRD fenders, the wheels can extend an additional 32mm outward. 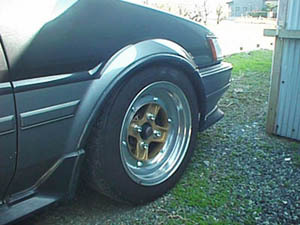 In any case, be sure you test fit the wheel before purchasing them, and always look at the wheel at the proper ride height as AE86 suspension does have pretty wide range of dynamic alignment changes. 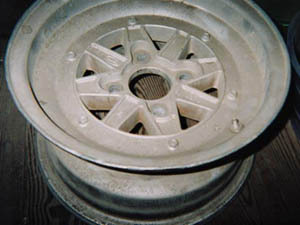 The following is a catalog of wheels, enjoy. 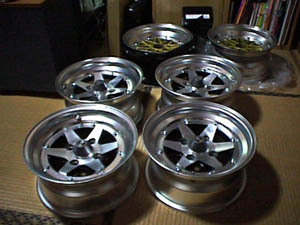 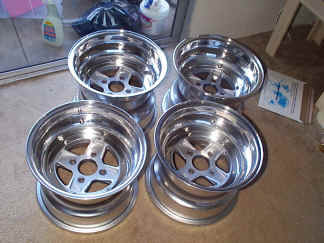 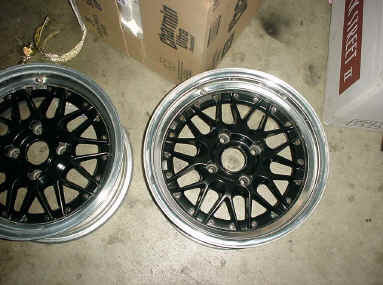 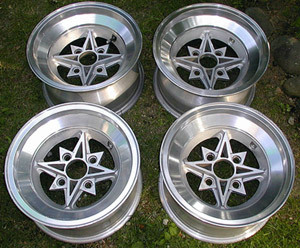 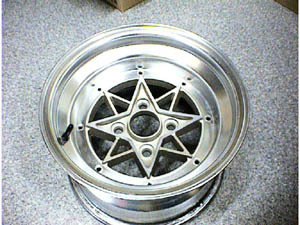 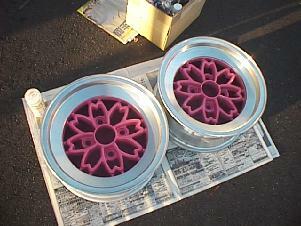 SSR Mark III 14x7.5 +10, available new, somewhat rare. 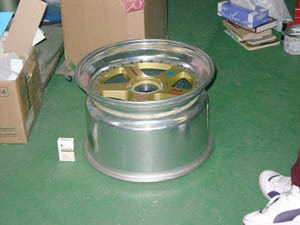 Yokohama Advan Racing Dish, 14x6.5 not available new, rare. 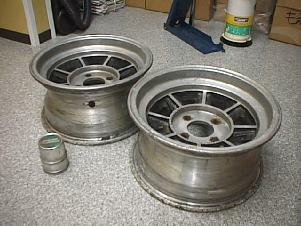 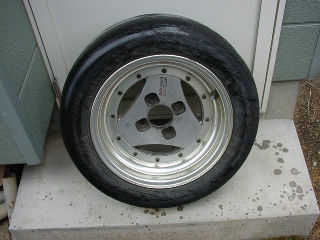 Yokohama Advan Rally, not available new, common used. 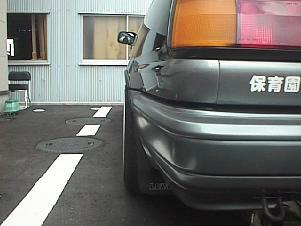 Work Equipe, somewhat rare, not available new. 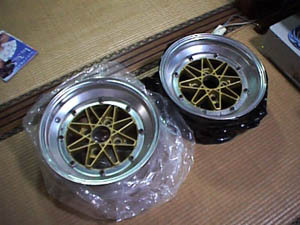 TOM's Igeta, somewhat rare, available from Revolver, Japan.